The oh-so-delicious authentic filling is one my Yiayia (and her mom before her) used when they wanted to make a special treat for someone during fasting periods of the year. Warmed tahini is used in place of melted butter to bind the nut filling and is just the perfect complement to the traditional flavors of cinnamon and toasted walnuts. A bit of lemon zest and a squeeze of lemon juice make this a baklava filling you’re guaranteed to indulge in on a regular basis and not just on special occasions! The work-around here for filo sheets is to use filo cups. I use the Fillo Factory brand but check to see what’s in your grocer’s freezer. 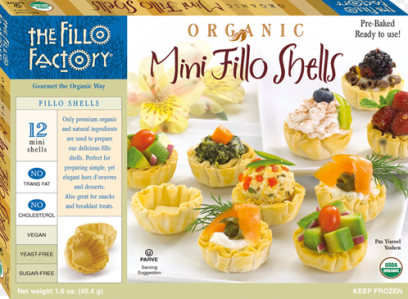 You can also purchase Fillo Factory filo cups online here. These are wonderfully versatile little critters and you’ll find a million and one uses for them. Or feel free to use filo sheets here if you prefer – quickly triple this recipe (and syrup) and you’ve got enough filling for a 9×13′ pan of baklava. 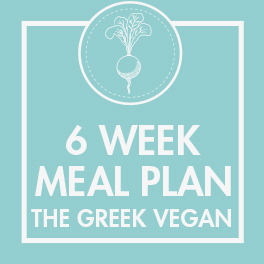 What sets this recipe apart from other vegan baklava recipes is the use of warm tahini as the binding agent. 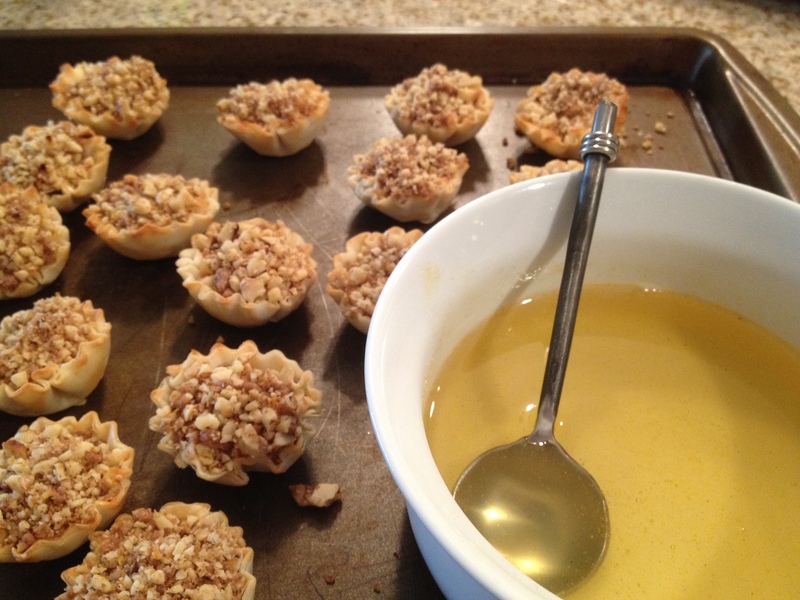 Warming the tahini/cinnamon/sugar/lemon juice to make a thick paste and then incorporating into the nut mixture, the flavors are evenly and perfectly distributed throughout your baklava filling. Every 1 cup of chopped nuts filling fill a little more than 34-36 shells (3 boxes). One half sheet pan can hold as many as 60 shells (4 boxes) at one time. The shells can sit right next to each other on the baking sheet as they don’t expand or need room in between while in the oven. Its really just as easy to make a single batch of 35 for yourself/family or double/triple the recipe for a special occasion. The syrup measurements below are also based on 34-36 filled shells (3 boxes). The syrup scales very easily as well. 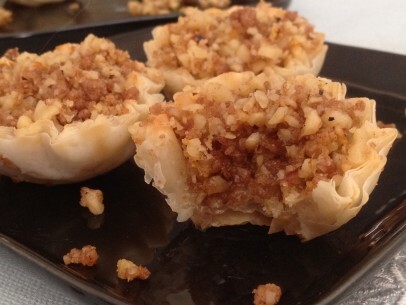 Simply fill each filo cup generously with nut mixture, bake for 10 minutes and spoon syrup over top. Done! 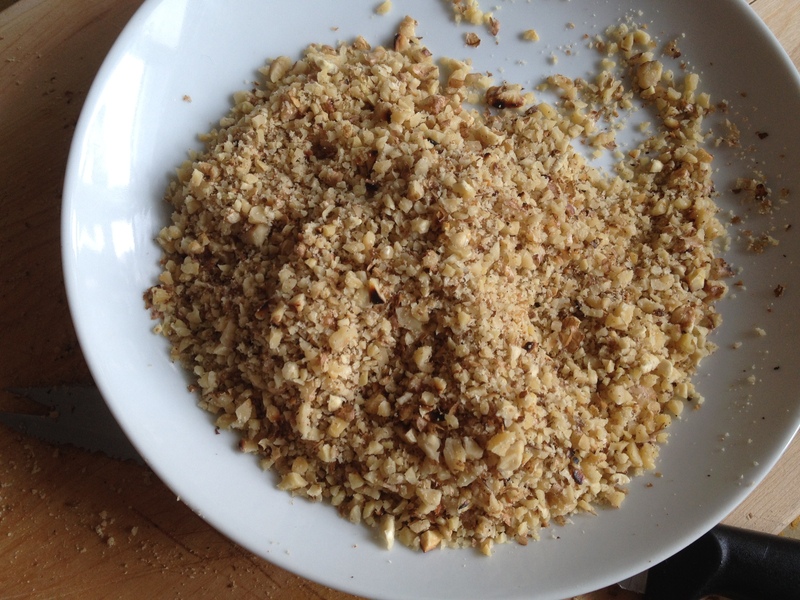 Try toasting your walnuts a bit before chopping – be careful not to burn! – and I prefer to chop by hand. You can pop them into the food processor but I find that you’re apt to get something closer to a nut meal then finely chopped walnuts. 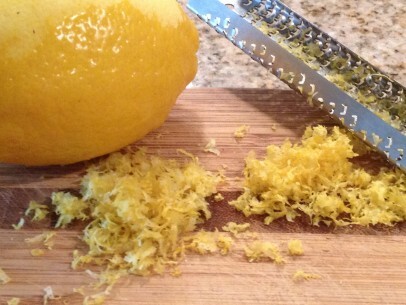 It takes only a minute or two longer to chop them by hand and the difference is well worth it. Lemon zest may seem an odd addition to this recipe but it brings a lovely bright pop to the toasted walnut mixture. When you’re warming the tahini/sugar/cinnamon/lemon juice make sure to keep your stovetop on the LOWEST temp possible. You are WARMING, not cooking or heating these ingredients. Tahini will burn in a second if the pan is too hot. If it does, clean out the pan and start over. Burnt tahini has a terrible, acrid taste that will ruin the entire recipe. 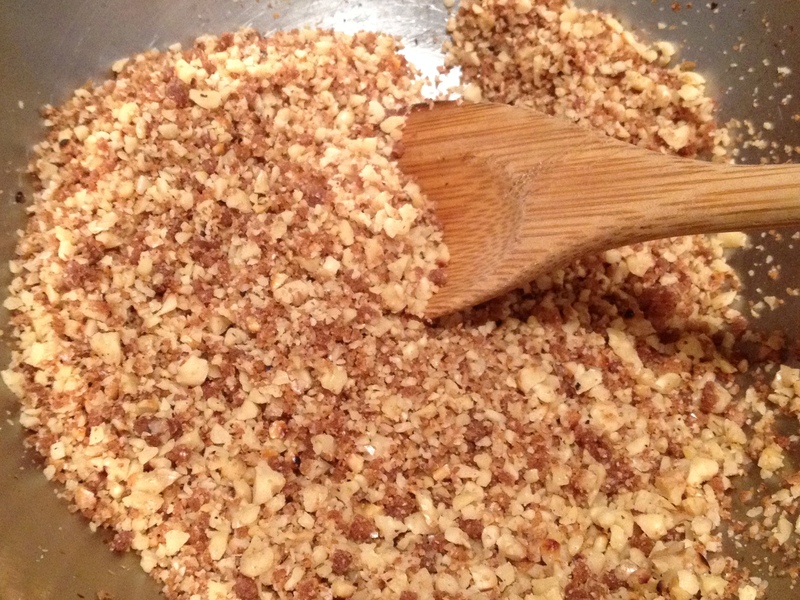 Stir until you get a thick paste, only a minute or two, and then incorporate completely into the chopped walnuts. When spooning your syrup over baked, filled shells be generous. I use about 1 – 2 teaspoons per shell. Toast and finely chop walnuts. Set aside. Gently warm tahni, lemon juice, sugar and cinnamon over VERY LOW heat. 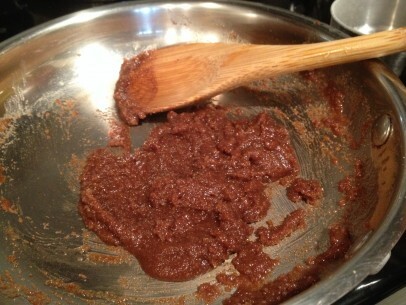 Stir until mixture becomes a thick paste. Add sugar/tahini paste to chopped walnuts and incorporate completely. Stir in lemon zest. 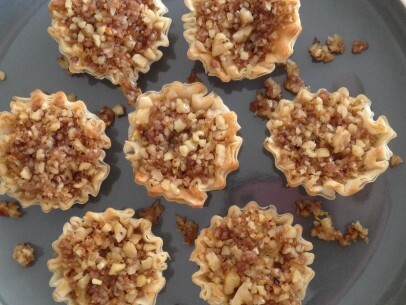 Fill filo shells with nut mixture and arrange on baking sheet. Bake for 10 minutes in 350 degree oven. While filled filo cups are baking, make your syrup. Combine sugar, honey (or agave nectar), water and lemon juice. Cook on low for 5 minutes, stirring occasionally. Take filo cups out of the oven and immediately spoon hot syrup over warm walnut mixture, approx 1-2 teaspoons per shell. 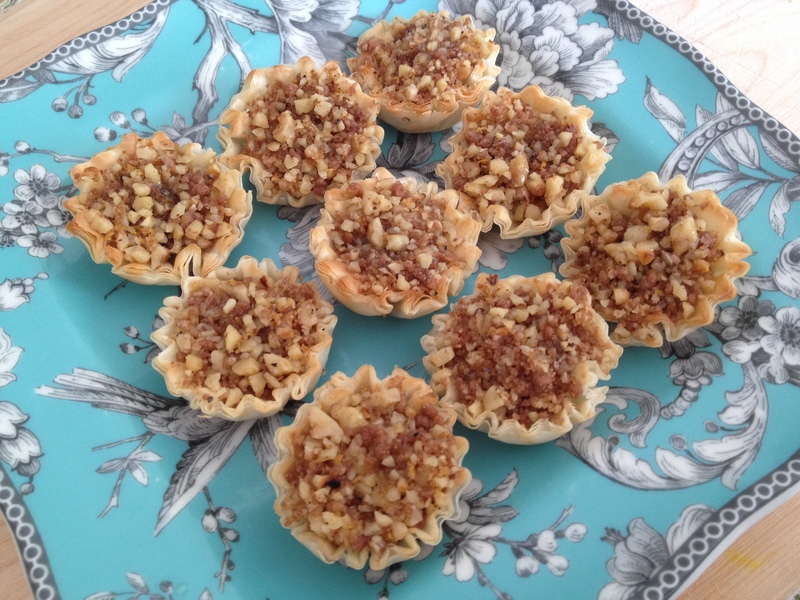 You can eat immediately but its best to allow baklava cups to sit for at least an hour and preferably 4-5 hours. And you can easily make these ahead and keep, covered, for up to two days before enjoying. Λυπάμαι που το ακούω αυτό! Είναι πραγματικά υπέροχο!